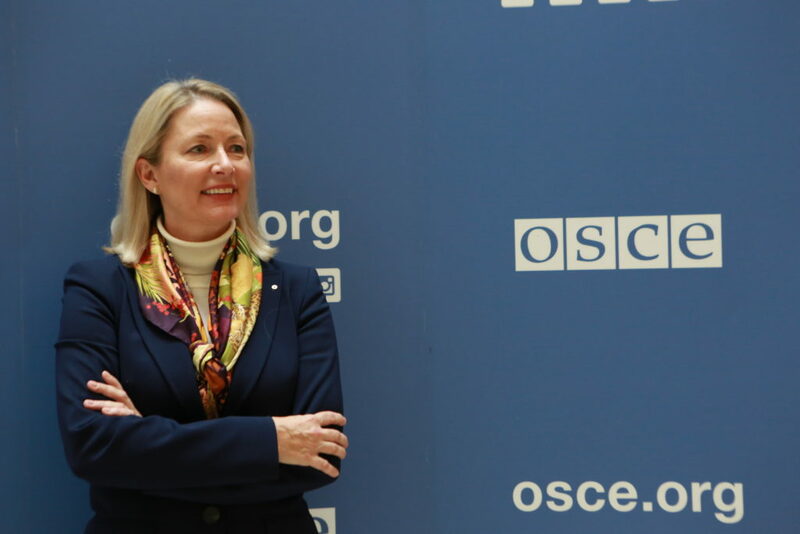 Vera Strobachova Budway joined the OSCE again in 2019 after more than 12 years working in leadership positions for diversity and inclusion in the private sector. What attracted you to work at the OSCE? Prior to entering the corporate world, I had the opportunity to work closely with the OSCE field mission in the Balkans where I coordinated economic development initiatives for the Stability Pact for South Eastern Europe. I experienced first-hand how the OSCE worked to foster peace and security in the region and the saw the positive impact that its activities had on local communities and people. It is an organization with purpose. Furthermore, the OSCE embodies and embraces diversity and inclusion and I value and appreciate working in a multicultural environment that is committed to gender equality. What prompted your move from the private sector to the OSCE? I had dedicated over 12 years of my professional life to fighting for greater gender equality in the corporate world and advocating for equal opportunity and inclusion in business. After successfully launching and managing a comprehensive diversity and inclusion program for a large financial institution, I was looking for a new and meaningful challenge that would allow me to use my knowledge, skills and experience from the private sector to impact real change on a wider scale. I wanted to work for an organization with a purpose and the OSCE was exactly that organization. What do you expect as the added value of the OSCE to your career? For me, joining the OSCE brings me to the next level both professionally and personally. Working closely with so many talented, knowledgeable and inspiring people from all over the world makes every single day a new learning experience. The OSCE gives me the opportunity to further develop and enhance my networking and leadership skills, especially when it comes to leading across cultures. It will also help me to refine my diplomatic, communication and negotiation skills, which are essential for success. What piece of advice would you give to anyone from a non-public sector background to transition to international civil service? First of all, I strongly encourage those with non-public sector backgrounds looking for new and rewarding challenges to seriously consider international civil service. My first piece of advice is not to get immediately discouraged by the list of job requirements. Many vacancy notices for international civil service job will require some past experience in international civil service – a classic “Catch 22”. This can dissuade many qualified people from other sectors from applying. Look carefully at the job description and think about how your knowledge, skills and experience can be applied or transferred to the position in question. Project management in international organizations can be quite similar to project management in large corporations – both require strong coordination, communication and stakeholder management skills. Stress major achievements, as well as lessons, learnt which can be applied in another context. Coming from another sector can be an advantage because you bring in a different point of view and a fresh new way of problem-solving This is exactly the kind of diversity of approaches which organizations need in order to find a new and innovative solution to current and future challenges. Would you have any specific tips for women in managing their careers? I recommend finding a mentor. Having a good mentor is so important at every stage in one ‘s career. Mentors not only provide support and direction in defining career goals or helping navigate through the intricacies and politics of an organization, but they also can be extremely useful in opening doors and giving visibility by providing access to important networks, both formal and informal. Strategic networking is a key factor in career success, which women many times underestimate. It is also important to articulate one’s career goals and ask for stretch assignments. Let others know about your aspirations and do not be afraid to apply for positions which you might think you are not yet ready for. You are probably more ready than you think. Women have a tendency to underestimate their potential and many times will not apply for a certain position if they do not meet 110% of the criteria. Don’t be shy to talk about your achievements – let others know what you have accomplished. Many times women sell themselves short for fear of coming across as too boastful or arrogant. Most importantly, don’t be afraid to take risks and push yourself out of your comfort zone because the that is where growth happens.